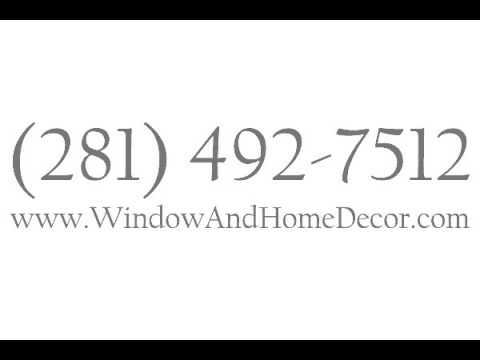 Locally owned and operated premier custom window treatment store located in Katy, Texas. Our window treatment and home decor store specializes in custom drapery, shutters, blinds, shades and valances to transform any room or space and provide energy efficient benefits. We are a Hunter Douglas Showcase location, featuring a huge selection of quality shutters, blinds and shades. Our experienced design team pride themselves on delivering exceptional service from the initial home decor selection to the window treatment installation. Our premier window treatment and home decor showroom also carries high quality home decor and accessories from custom bedding and upholstery to rugs and elegant artwork. Whether you’re looking for a single window treatment or trying to redecorate your entire home, you’ll find the expertise and knowledge to tackle any design challenge. Stop in our interior design showroom today or contact one of our custom design experts to schedule a free in home consultation!